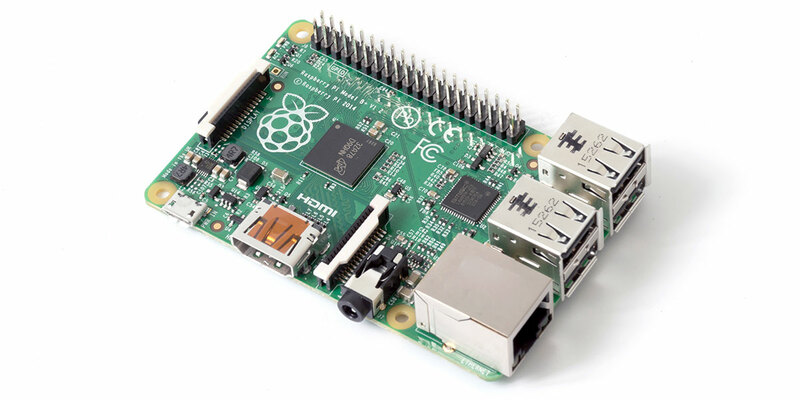 The latest Raspberry Pi 3 Model B+ includes a 1.4 GHz quad-core processor, along with Wi-Fi and Bluetooth support built- in, giving programmers endless ways to create and innovate. What the Pi doesn’t come with, however, are accessories. You’ll need to provide an HDMI cable, power supply, and other bits and pieces for your project. This keeps the Pi’s price down and lets you choose exactly the parts you need. Implementation of an auto configuration system for the Pi. You can also find other accessories that don’t necessarily fit these parameters, like partial HATs (pHATs), which conform to a RaspPi Zero. So, which of the many excellent HATs fit your project? Here are 10 Raspberry Pi HATs — including pHATs, Bonnets, and other packages that might not be considered a “HAT” in the strictest sense — that may be exactly what you’re looking for. You may have noticed that your RaspPi doesn’t include a prototyping area, forcing you to connect to an external breadboard for prototyping work. While this is fine for a short-term build, you may want a better solution for more permanent projects. The Sense HAT was developed specifically for Astro Pi: a science and coding competition for high schoolers. The Sense HAT is an add-on board for the RPi that’s ideal for real world experimentation. These devices include sensors for orientation, pressure, humidity, and temperature, and they display data on an 8x8 LED matrix. It also includes a tiny joystick, enabling user interface and even simple games like Pong or Snake. The Sense HAT has even traveled to the International Space Station, allowing students in the European Space Agency member states to write code that runs in space. 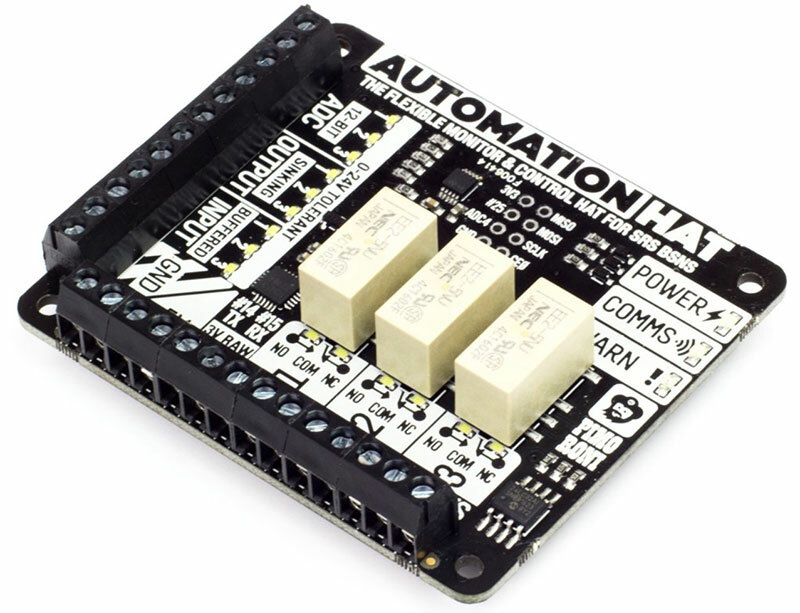 The Automation HAT allows you to automate electronics and “non-smart” devices with three 24V 2A relays and three 24V sinking outputs; 24V input options are also available, along with analog sensing at 0-24V and 0-3.3V. All of this, along with screw terminal connections and indicator LEDs for each channel, means this is the perfect shield for your next home automation project. We’ve seen lots of innovative Pi gaming solutions, whether it’s a system stuffed into an NES cartridge or a coffee table that doubles as a cocktail arcade cabinet. For an all-in-one solution, the Adafruit Joy Bonnet (or pHAT) fits on top of a Pi Zero, turning it into a controller that can also serve as a compact game system. To make it more playable, you’ll want to add some sort of case. It can also work with the larger Pi flavors, though it won’t have the same compact feel. If you need basic audio output from your Pi, use the 3.5 mm headphone jack or HDMI. If you’d like to upgrade your Pi audio experience, several HATs provide high-quality audio to your own speakers. Examples include the Pi-DigiAMP+ or the JustBoom amp HAT. For a tiny boom box solution, Adafruit offers a three-watt solution that attaches to a Pi Zero. If you just want a high-quality headphone output or a DAC that allows an external amplifier to do the work of driving speakers, then a Pi-DAC+ will do the job nicely. Audio HATs are sufficient if you want to listen to music, but if you want to create your own music you’ll need an input method. Rather than cobble together some sort of interface with a keyboard, Pimoroni’s Piano HAT fits on top of a RaspPi directly, allowing you to play music in a nice compact package. Cycle through octaves with two pads and 13 capacitive keys per octave with attached LEDs. An instrument pad lets you switch instruments, and it can even control an external synth over MIDI. For a slightly different take on things, Pimoroni’s Drum HAT performs a similar function but is configured to work as — you guessed it — a drum pad. If you enjoy the functionality of Google Home, you can add that kind of speech recognition and cloud intelligence to your Raspberry Pi. 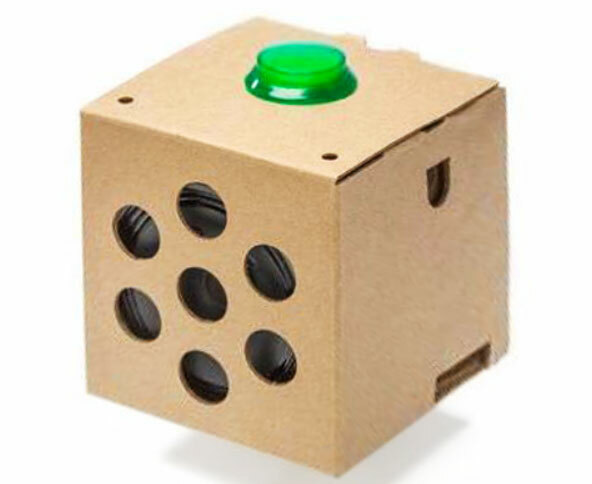 The Google AIY Voice Kit (AIY for Artificial-Intelligence-Yourself) gives you the same functionality for your project. Check out Zach’s assembly video at to see this project in action. While other HATs on this list take input or generate an electrical signal or audio/visual feedback, this HAT is all about movement. It’s a pan/tilt fixture that attaches directly on top of your RPi and includes a pair of micro servos and mounting hardware for a Pi camera. The Pan/Tilt HAT is compatible with conventional or programmable LEDs. With this HAT, you can scan your property or automatically track and record yourself building your next invention in an all-in-one package. 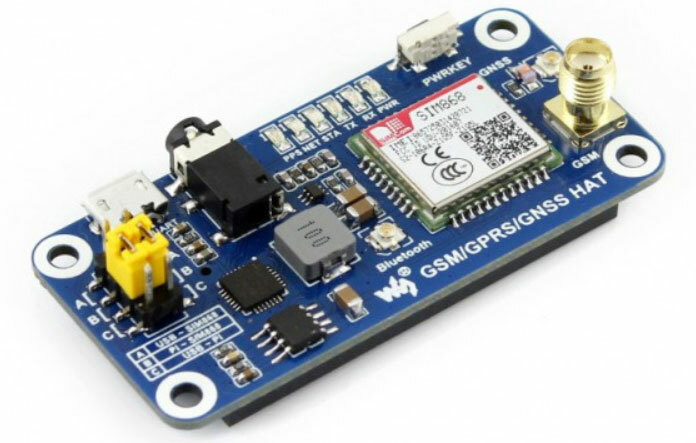 If you’d like to add cellular communication capabilities to your Pi setup, use the GSM/GPRS/GNSS/Bluetooth HAT to make phone calls, send text messages, and transfer cellular data. This HAT features a GNSS receiver, so you can access GPS and other satellite positioning systems. It also adds its own Bluetooth radio, which is useful if you want to pair a wireless headset with your “Pi-phone.” The device comes in a pHAT format for use with a Pi Zero or a full Pi, and even includes a 3.5 mm headphone jack. Whether you’re building your own electronic drum kit or measuring distance with a 3D scanner, a HAT can give your Raspberry Pi exactly the functionality you need. Have you used a HAT for any recent projects? Share your story in the comments! Jeremy S. Cook and Zach Wendt are engineers who enjoy sharing innovative ways to create projects using Raspberry Pi. Jeremy writes for a variety of technical publications, while Zach works for Arrow Electronics, a major supplier of Raspberry Pi products.